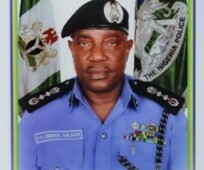 The Enugu State Commissioner of Police, Mr. Nwodibo Ekechukwu, has detailed the manner suspected Fulani herdmen entered Nimbo in Enugu and went on a cold blooded killing spree which claimed lives of nine members of the community, and also how his men repelled further damage by the nomads. It would be recalled that a statement earlier released by the police, Wednesday, blamed the attack on the community on ‘mere hoodlums. However, speaking with Channels TV , the police commissioner admitted: “First of all, let me extend my condolence to the families, it is painful to us and we would get to the root of the matter,” he said in an interview with. “The present situation is that one more person died and two additional corpses were discovered, making the death toll nine, and nine people are also injured and still receiving treatment at the hospital. He said the killings were done in cold blood in the community while farmers tried to make their means from early hour farming. “The genesis was that on the 25th between 6:30 and 7:00am, the suspected herdsmen invaded Nimbo community, Enugu state. “They came through the bushes and while coming through the bushes, they slaughtered people in a most barbaric manner. In their farms. Those who went early to farm. “They decided to slaughter them, so that they would not use gunshot in a way that would attract the attention of law enforcement. “Eventually, they came to the fringes of the town, they burnt one house with a vehicle contained in a garage, then of course a bus nearby.